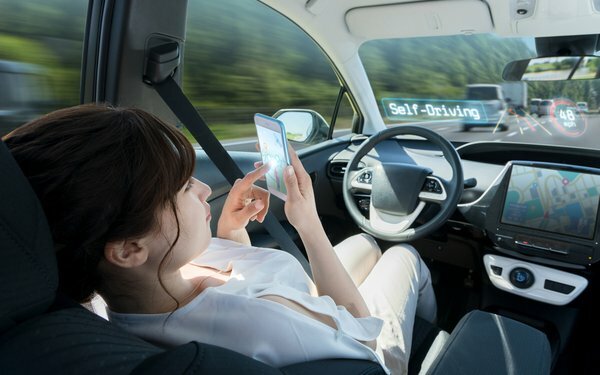 While fully self-driving cars have been in various stages of development for some time, the expectation of when they will be market-ready is quite a bit down the road. Of those involved in the autonomous vehicle industry, most expect it will take 10 to 20 years before such vehicles are market-ready, and no one sees them coming in the next couple of years, according to a new study. The majority (76%) expect it will take at least 10 years for true Level 5 cars to be market-ready, according to the TU-Automotive study of 300 executives involved with autonomous vehicles, including automakers, hardware providers, software developers and other critical auto mobility stakeholders. More than half (55%) expect it will be 10 years and 22% expect it will take 20 or more years before fully self-driving cars are market-ready. A Level 5 vehicle is one that has the ability to drive autonomously anywhere, without a driver participating. Level 4 would be self-driving in many circumstances and even most of the time, but with the driver having the ability to intervene. A small number (5%) of those surveyed expect Level 5 cars within three years and 19% expect them within five years. The delay is not so much the technology in the automated vehicles but other factors, according to the study. The top stumbling block for nearly half (48%) of those surveyed is human acceptance, followed by infrastructure (44%), the high cost of LiDAR (5%) and computational capacity (3%). The industries expected to be the most shaken by autonomous cars hitting the market are professional driving and trucking (39%), insurance (36%), public transport (18%), auto repairs (7%) and airlines (1%). Expect self-driving cars to be ready well before the market is ready for them. 5 comments about "76% See Full Self-Driving Cars At Least 10 Years Away". R MARK REASBECK from www.USAonly.US , March 19, 2019 at 10:46 p.m. I'm afraid I will never get past Level 1: ME driving MY car with 100% in MY control, yes call me selfish....... and with a manual transmission. My prediction: DBA.....Dead Before Arrival. Look at the money that will be spent over the next 10 years, without any return. Payroll, development, overhead, buildings, components...etc, these companies will drop like flies over time, or they will all fight over making "Gro-carts" to save the grocery chains from hiring a minimum wage driver. dateline 2026: "Hey, that Reasbeck guy was right all along, THIS IS the Dumbest idea of the 21st Century"
Douglas Ferguson from College of Charleston, March 20, 2019 at 3:43 p.m.
Human acceptance? The insurance companies can easily offer hefty incentives (or penalties) to overcome reluctance. The risk has to be lower with driver assistance. Chuck Martin from Chuck Martin replied, March 20, 2019 at 3:51 p.m.
Walter Sabo from SABO media, March 21, 2019 at 6:24 a.m. It's not going to happen until everyone who has had driving training today is no longer driving. It goes against every instinct of today's driver. And why is it such a great idea any way? It's going to be a mess. Chuck Martin from Chuck Martin replied, March 21, 2019 at 10:11 a.m.
More likely to start as a form of multi-person transportation, Walter. Individual purchasing of such vehicles of a long way off.